Out With the Old Fall is a great time for you to refresh and recharge your wardrobe. All your favorite stores will start bringing out the latest in the season's fashion, giving you an opportunity to pick up a few new pieces. Analyze your clothing stash to see if you have pieces that you don't like or don't fit into anymore. You can donate these clothes and start the new season with a completely fresh look. Don't forget to pick up functional fall clothes too, including new jackets and sweaters. Work with What You Have When it comes to accessorizing your look, you can always work with what you already have. Even old clothes can still play a big role in your fall fashion. An old dress can look like new with a few simple additions, including a new belt and brightly colored scarf. A few gold bracelets can add a favorite fall color to your best evening dress. You can also consider wearing a new jacket or cardigan to spruce up on old outfit. Accessorize Any new additions to your jewelry collection can add style to your fall fashion. Life changes too! I know its wedding season and even though the newly engaged girl s are sporting their unique diamond engagement rings. It's fabulous to get a piece of jewelry customized, but not everyone is that lucky. There are many possibilities of pairing fresh new outfits with various rings styles . This is the perfect way to show off your personal taste. You can pair your statement ring with any number of other jewelry choices, including necklaces and bangles. There are plenty of other fun accessories to choose from, including hats and scarves. You don't need to have a large collection of hats to find one that will match your outfit. Instead, aim for a few hats that cover basic colors, including black and brown. Scarves offer an inexpensive way to easily add a pop of color to any outfit. In the late fall, these bright additions give you something colorful to enjoy when the flowers of summer are long gone. Color and Fabric Options Some colors fit autumn better than other seasons. Fall colors usually reflect the natural environment by including rich jewel tones. The most popular fall colors include sapphire, emerald and ruby. Textures, such as leather and velvet, are also very popular in the fall. With just a few pieces in the most popular fall colors and textures, you can easily dress up your seasonal wardrobe. 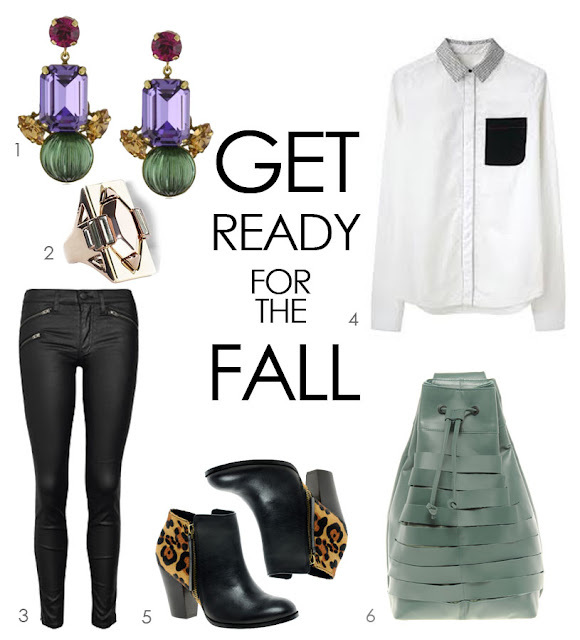 The arrival of autumn gives you the chance to update and refresh your wardrobe. You can use your jewelry, scarves and other accessories to your advantage. Even with old clothes, you can create a new look.